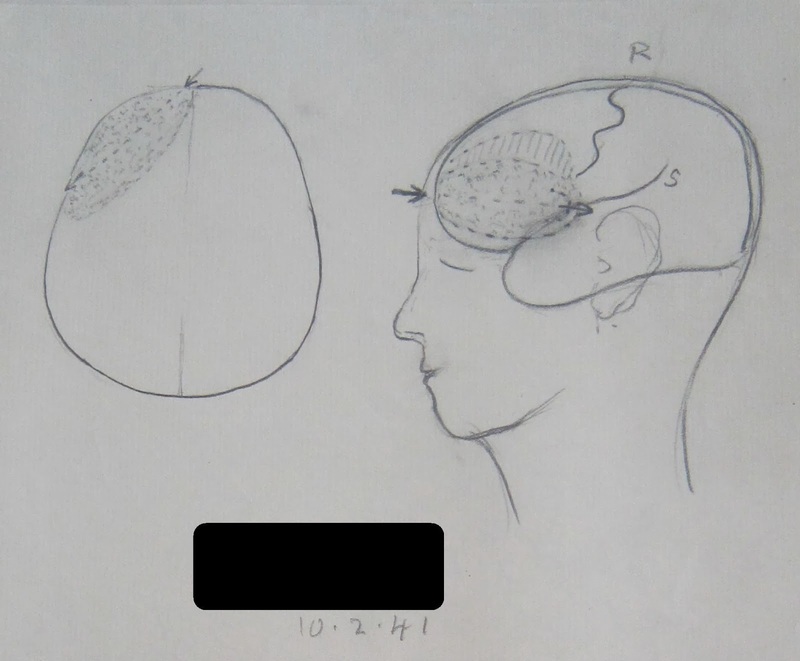 I am currently four weeks into a ten week cataloguing internship with LHSA working on the Wellcome Trust funded project, Cataloguing Norman Dott’s Neurosurgical Case Notes (1920-1960). During my internship I will be assisting Louise,with cataloguing as well as finding out about the work carried out at LHSA. 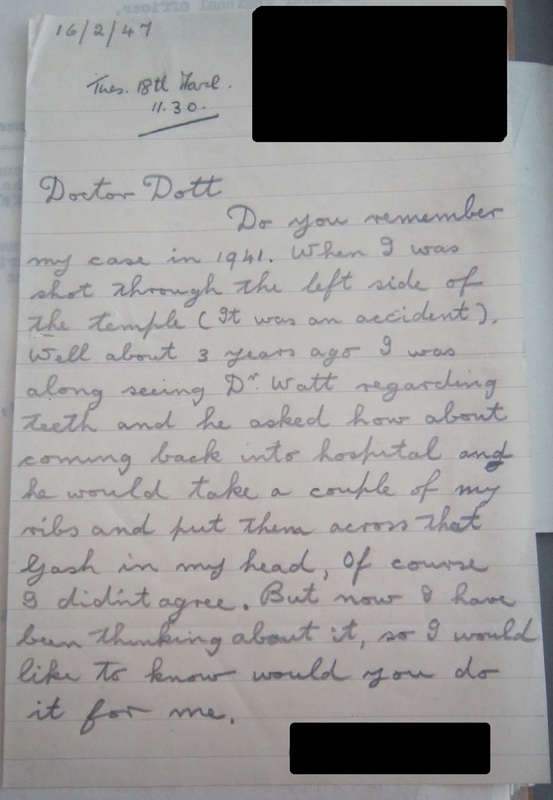 The records I will be cataloguing relate to Dott’s work during the Second World War, when he set up the Brain Injuries Unit in Bangour General Emergency Service Hospital in Broxburn, West Lothian. Generally the patients are military personnel; however I have also come across a couple of civilian and private cases. Several patients were sent there suffering from headaches, as Dott was particularly interested in investigating these cases, but reasons for admission were pretty varied and include many cases of head injuries sustained both as a result of military service and whilst off duty. As part of Dott’s role he also had to assess his patient’s capacity for continued military service and give a recommendation as to their grading or discharge. He would also give his recommendation regarding pension eligibility for those soldiers who were to be discharged due to their condition and his opinion as to whether their injury or illness arose or was exacerbated by military service. So far the patients I have come across have been mostly male, although there have been a couple of females who were serving as Volunteers with the Auxiliary Territorial Service. 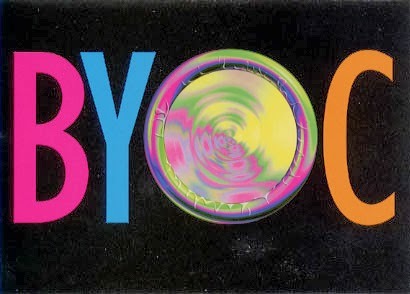 They say that every seven years we undergo significant changes in our lives, and that is certainly true for me today. After nearly 7 years of working at LHSA, I am taking a year’s leave, and moving to Munich where I’ll hopefully have the chance to work in the archives of Ludwig-Maximilian University; for those who can read German (and that doesn’t include me yet! ), their website is at: Ludwig Maximilian University Archives. My first job will be to learn German in a month-long intensive course at the Goethe Institut, followed by lots of practising on the poor souls at the University Archives. My year abroad should broaden my perspective of archive management in the wider European context, and give me the chance to learn about a new collection. Here are some of my highlights of the last seven years at LHSA! 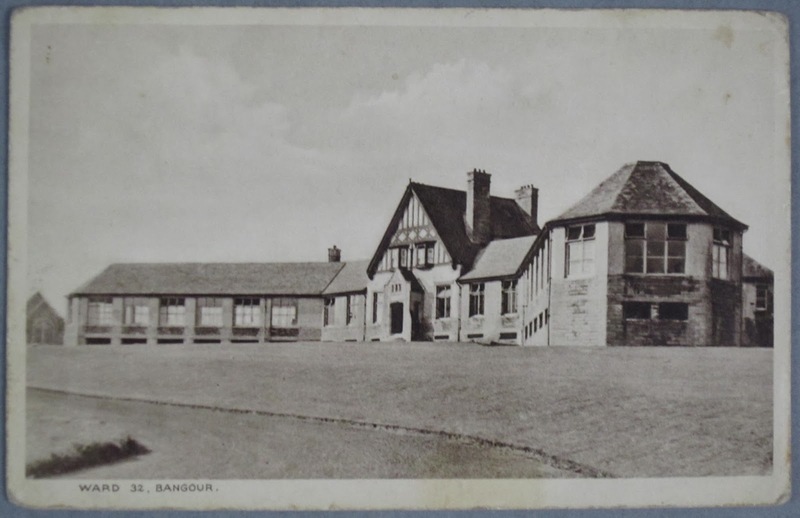 2007: I started as Assistant Archivist on 2 April and was introduced to the joys of cataloguing including the papers of Helen Millar Lowe who helped maintain a female-only medical staff at the Bruntsfield and Elsie Inglis Hospitals in the 1950s. 2008: During the summer of 2008, we moved into our new accommodation as the Centre for Research Collections was born. 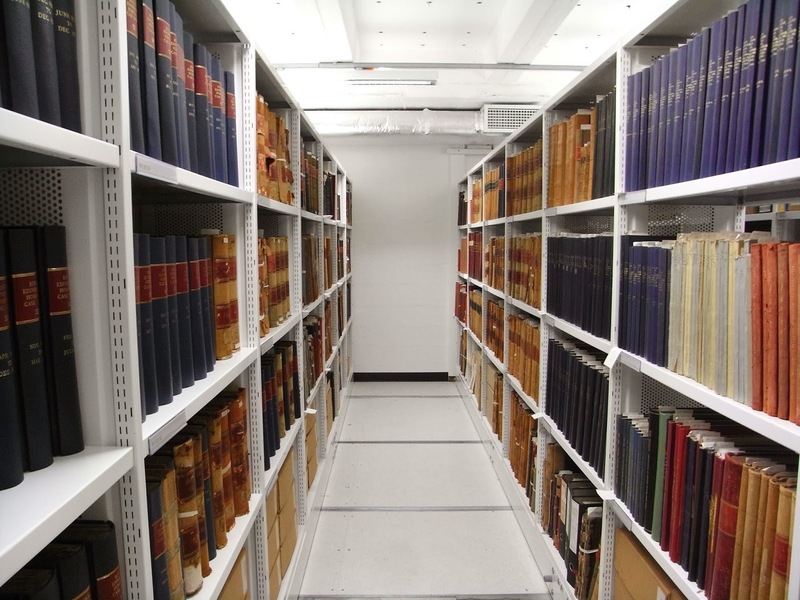 Over 1,000 linear metres of LHSA collection items were moved into their current storage space. 2009: I started the volunteer programme at LHSA; our second volunteer, Louise, is now our Project Archivist! I also helped create posters telling the story of the Royal Edinburgh Hospital in preparation for the bicentenary celebrations; the foundation stone of the Hospital was laid in 1809. You can see them here: Royal Edinburgh Hospital charter posters. 2010: We developed a social media presence for LHSA which included this blog and a Flickr page, shortly followed by our Facebook page. 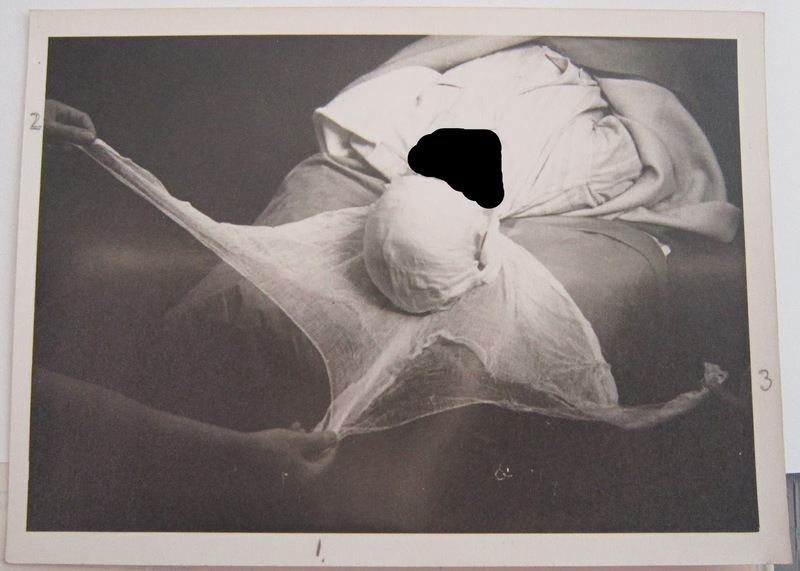 Oh, and our HIV/AIDS collections were added to the UNESCO UK Memory of the World Register! 2011: I led oral history training sessions for students from the Edinburgh College of Art as part of the Unsung Heroes project. The oral testimonies of nurses are now part of the Archive informing our knowledge of twentieth century nursing lives. 2012: I had the privilege of becoming the LHSA Archivist and got to explore more of this wonderful collection as I helped choose exhibits for the Masterpieces III exhibition. 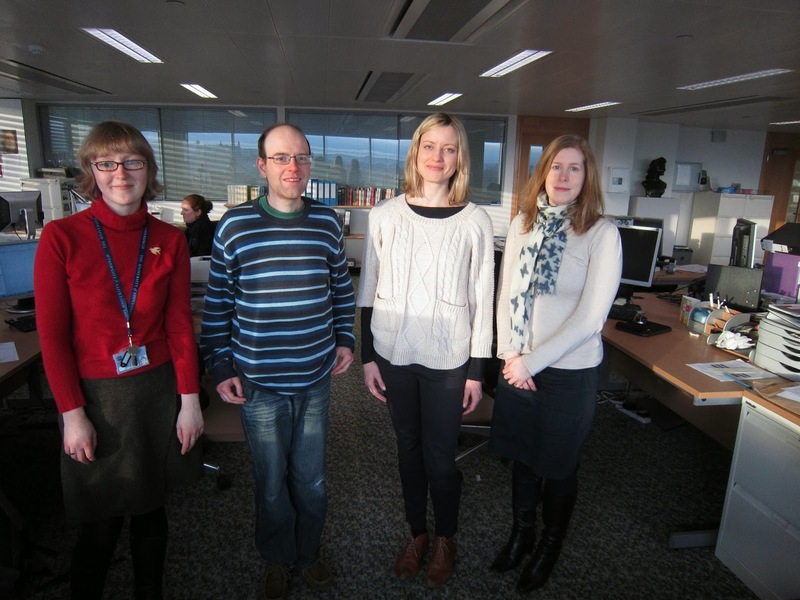 2013 was a packed year with the Royal Edinburgh Hospital bicentenary, Wellcome Trust bid writing (we got them! ), and the opportunity to present talks on our social media to heritage sector colleagues in Edinburgh, Aberdeen and Dublin. 2014 has seen the start of our Wellcome Trust-funded HIV/AIDS project – great to see the fruition of all that bid-writing! This week, we take a look at the story of the Deaconess Hospital and the records relating to it at LHSA. In 1888 the Very Rev. Professor A H Charteris proposed to the General Assembly of the Church of Scotland his scheme regarding the organisation of women’s work in the Church. This included the Women’s Guild and the Order of Deaconesses. The scheme was approved and a site purchased in the Pleasance, Edinburgh, to found an institution where Deaconesses could be trained for missionary work at home and abroad. In 1889, St Ninian’s Mission opened here among the overcrowded tenements of the Pleasance and Cowgate areas, and in 1894 the Deaconess Hospital was opened alongside it. At the Hospital, practical training in nursing was taught to the Deaconesses who spent a year working there. For those who wanted to become fully trained nurses, they could also work for a further three years in the Deaconess Hospital’s Nurses’ Training School. 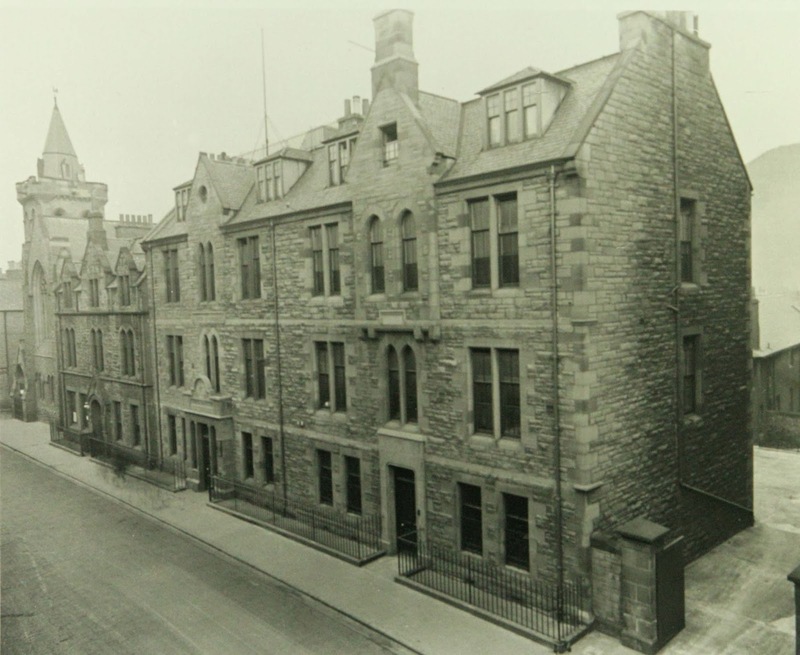 As well as training Deaconesses before setting off on missionary work, the Hospital was a source of free medical care to one of the poorest districts of the City of Edinburgh at that time. A home visiting service of District Nursing and Midwifery was also provided, run by the Staff Nurse in charge. Major reconstruction work was carried out during 1934 - 1936 and the Deaconess Hospital expanded, extending into the old police station and other buildings adjacent to it. In 1948, with the formation of the NHS, the Deaconess came under the control of the South Eastern Regional Hospital Board and in 1974 it became part of the South Lothian District of Lothian Health Board. The Hospital finally closed in 1990, though it remained in NHS ownership. The building was re-named Deaconess House and continued to be used as the headquarters of the NHS Board until their move to Waverley Gate in 2010. LHSA records from the Deaconess Hospital include annual reports, minutes of the many committees which worked there, patient admission records, case notes, nursing and midwifery records, operations books and staff appointment records. These are catalogued under LHSA reference LHB12. Last Saturday Ruth took part in a performance of ‘Voices from the Past’ at the Talbot Rice Gallery – a piece written by Alison Stirling from Artlink using the extensive research carried out in LHSA for the Royal Edinburgh Hospital bicentenary, and the ‘200 Years, 200 Objects’ exhibition in particular. The script was for two, and the first of many parts was played by Pauline Goldsmith, an award-winning actress. She read numerous excerpts from texts in LHSA, along with extracts from oral histories from staff and patients, and some fictional pieces written by Alison to evoke the long history of the Hospital. Each one was delivered in a different accent, with a different tone, to capture all the different people that had a relationship with the Royal Edinburgh over the last 200 years. I had a much easier job, and simply had to read out an introduction and conclusion, and intersperse Pauline’s performance with the date the extract she was reading originated from. It's just as well it didn't require much dramatic flair from me as this was my first performance since treading the boards at school! Saturday was the second performance of ‘Voices’. 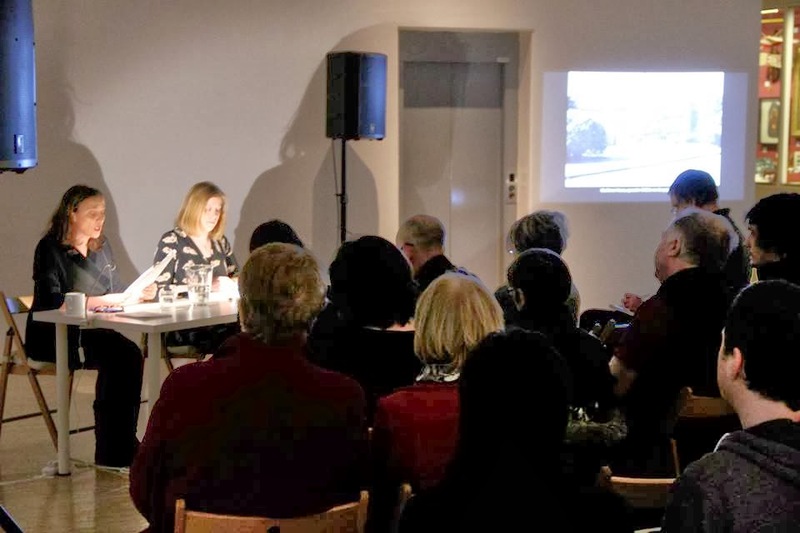 The first saw Pauline and our Archivist Laura delivering Alison’s work to an audience in the Royal Edinburgh itself. Both events were well attended and got excellent reviews! Many felt that ‘Voices’ provided a very accessible insight into the Hospital’s history, and helped them connect with the people in the Royal Edinburgh’s past. Holding the second performance in the Talbot Rice, alongside the ‘200 Years, 200 Objects’ exhibition, really added to ‘Voices’ as the audience could look at the display before and afterwards. Both images are taken from the Talbot Rice Gallery’s Facebook page, please see https://www.facebook.com/talbotricegallery for more. ‘200 Years, 200 Objects’ will be on display for another week, closing on 15 February. 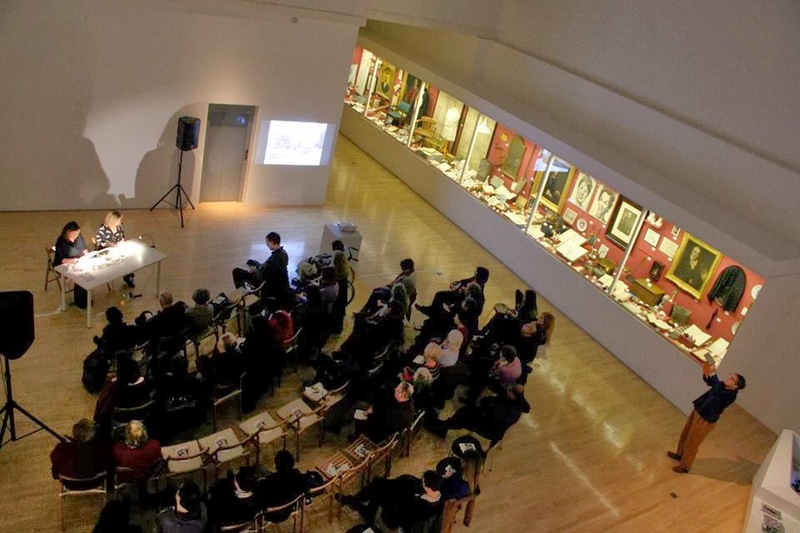 For more information please see the Talbot Rice Gallery website: http://www.ed.ac.uk/about/museums-galleries/talbot-rice/current/everpresentpast. I thoroughly enjoyed taking part in ‘Voices’ – it is always exciting to see how LHSA material can be used in novel ways to such great effect.